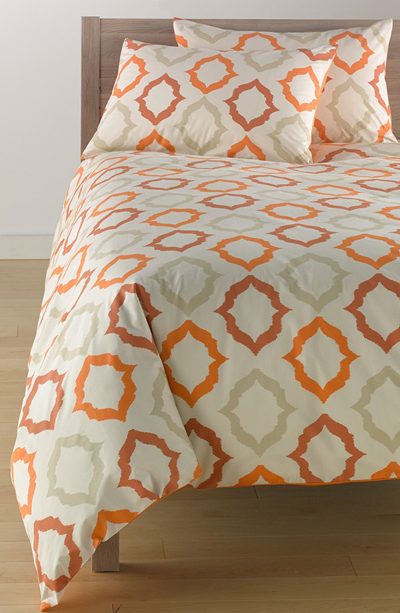 Liven up your bedroom with the colorful cotton Orange Jaffa Zahara Duvet featuring a modern, Middle Eastern-inspired motif. $88-$98. Free shipping. Buy here.